I’ve mentioned before that I loved A Christmas Carol from an early age. I first read this copy, which belonged to my father and is one of my most treasured possessions. Looking back, I’m not really surprised that I fell in love with that story. It starts out with a ghost, and that’s a definite interest I’ve always had—along with magic. It’s an interest I evidently shared with Charles Dickens, a famous skeptic who helped found The Ghost Club, a club dedicated to investigating the paranormal. As for me, I rabidly consumed those little dime store pulp magazines—the ones that told of the bloody history of the countess of Bathory and explored creepy urban legends like the spiders in the wig and the vanishing hitchhiker. This obsession grew into a full-fledged love of local legends and lore. I have a jampacked shelf with ghost stories from every place I’ve ever visited. I figure Dickens and I don’t have to be too reserved about our interest in the paranormal, though. It was, after all, shared by notables like Sir Arthur Conan Doyle and Harry Houdini, among others. And while Doyle was known to be a believer, Houdini and Dickens were both skeptics. And me? I’m somewhere between. I don’t know what I don’t know, and I’m not afraid to admit it. 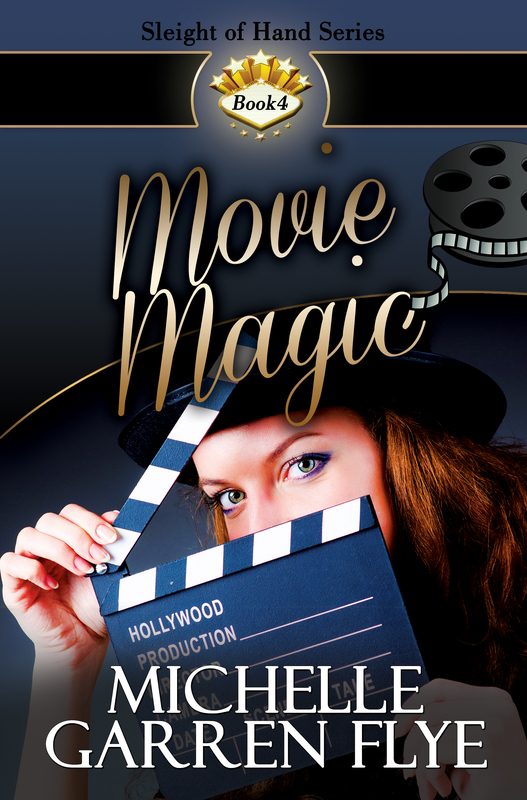 Have I mentioned that Dickens Magic is available today? Happy birthday, at long last, Dickens Magic! I feel like I’ve been waiting forever! And what better way to celebrate my latest book in my magic series than by indulging in a little of the magic of the day? Bat magic. Bats are messengers. Did you know you can send a message with a bat to the other side of the veil on Halloween? Just ask when you see one out and about tonight. Spider magic. Don’t squash spiders on Halloween! If you find one inside, it’s probably a dead relative come to visit. Black cat magic. If you find a stray black cat curled up on your doorstep, don’t scare it off. It’s there to guard your house against evil spirits. Or it’s a witch’s familiar sent to spy on you. Jack-o-lantern magic. You probably have one guarding your front door. My favorite legend of the jack-o-lantern comes from the Southern Appalachian Mountains where I grew up. One of many “Jack Tales” I read and heard over the years. I especially like the one from Richard Chase’s timeless collection. In this version, Jack the troublemaker made the first one when, after tricking the devil into agreeing not to take his soul to hell, he was also refused entrance to heaven. The devil, taking pity on poor, homeless Jack’s soul, tossed him a coal from hell and Jack put it into a hollowed out gourd to light his way as he wandered the earth. If you haven’t read the Chase collection, it’s available here: Jack Tales. Second, it just so happens that the master of escape magic, Harry Houdini died on Halloween. Even he couldn’t avoid the inescapable clutch of death, it seems. Or could he? Toward the end of his life, Houdini was alternately fascinated and disgusted by the “mediums” of the day. He spent a large amount of his time studying their tricks and exposing them. And yet, he and his wife Bess promised each other that whoever passed away first would find a way to contact the other with a secret code that spelled “Believe”. So, after Houdini’s death, Bess arranged a seance on the anniversary of his death every year until her own death, after which it was taken up by other believers. I wonder about the death of Houdini. 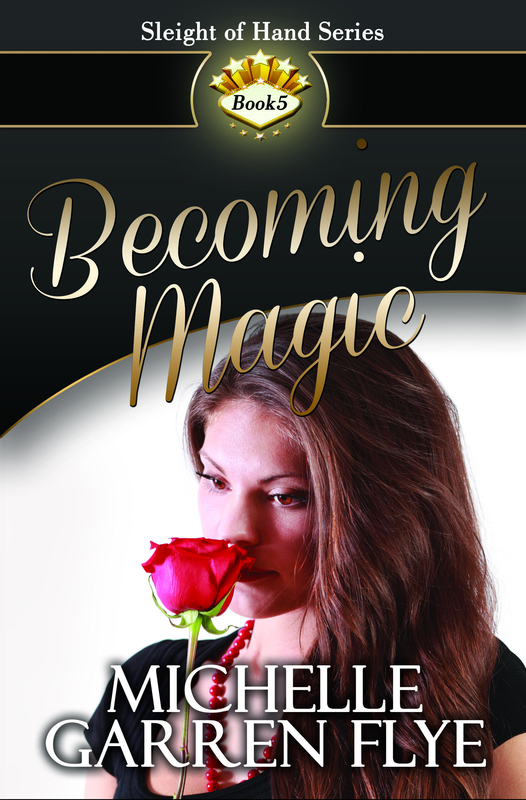 What better way for an escape magician to cross the veil than when it is, by Celtic belief, at its thinnest? And surely, if he so desired, he could escape that veil. Yet so far, no one has heard from him. If you’re curious about this year’s seance, you can find out more here: Houdini seance. Maybe this year he’ll tell everyone to buy Dickens Magic! It’s not totally out of the realm of possibility, you know. He and Dickens shared a real interest in the paranormal. More about that later. Charles Dickens began writing A Christmas Carol in October 1843. It was published December 19, 1843 and sold 6,000 copies by Christmas. One of the things I used to love about reading Stephen King books was the way he would put in the dates of when he started the book versus when it was published. Cujo, for instance, was September 1977 through March 1981. Three and a half years he spent on that book. I think I must know how he felt when he got the idea. It was September and, in Maine, at least, the season is fall. (In eastern N.C., it’s hurricane season.) The dead leaves were skittering across the pavement leaving a wet smell of decay behind, and all the sounds were louder, crisper. Like the bark of a dog. A really big dog. Of course, that’s all conjecture, and far from how I conceive my own ideas. 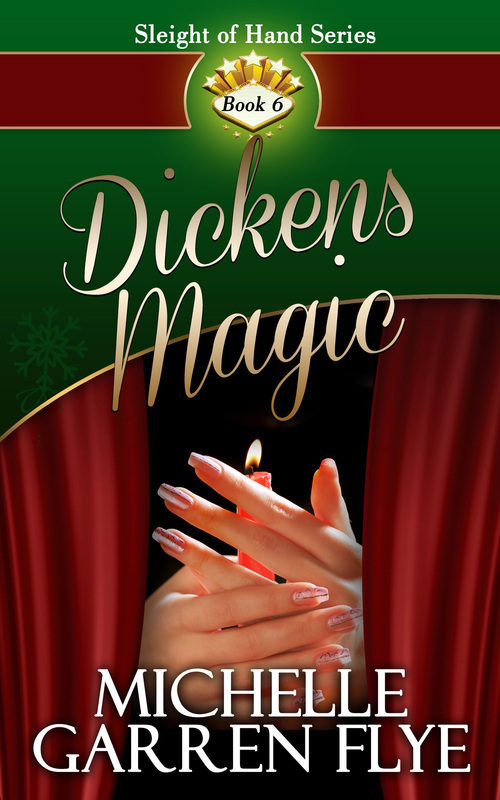 I decided to write Dickens Magic right after I starred as “Woman 3” in our community theatre’s production of A Christmas Carol. One problem. There’s no time to write around Christmas. Seriously. National Novel Writing Month takes place in November for a reason. So I ended up putting it off starting the book until spring. By then I’d gained some more stage experience but the Christmas spirit was worn down and put away until this year. I’m only starting to want to put that spirit back on. So how do you write about Christmas in seventy-, eighty-, and ninety-degree weather? It’s a question every writer eventually has to answer. How do you put yourself in another time? It helps to think of the things you like about that time—sights, smells, sounds. I listened to a lot of Christmas carols, which actually helped me with the magic show at the end of the book. It also helps that snow isn’t really a thing here in eastern N.C., and especially not at Christmas. You might see some in January or February, but not December. And of course I have to thank Charles Dickens. His story is timeless in more ways than one. It does the soul good no matter what time of year you read it. Considering he sort of self-published it (and did not make the fortune he should have), it does make sense that I would feel a sort of kinship with him about this story. So, though I didn’t keep exact track of my writing, I think I can guess what the dates at the end of Dickens Magic would be. March 2018-October 31, 2018.